Entering through the gates, take a step back in time, where the true charm of the Lowcountry is preserved. Once through the gates, you are led down the gravel-covered road lined with noble live oaks with canopies draped in moss gently swaying in the breeze. As you go around the corner, you continue down the private driveway to this custom and stately home tucked behind the trees & natural landscape. As the magnificent residence comes into view, one is struck by the abundance of outdoor spaces with verandas & porches, accented by stately columns, masterful iron work, a side courtyard fountain & all highlighted with the gentle flickering of copper gas lanterns. 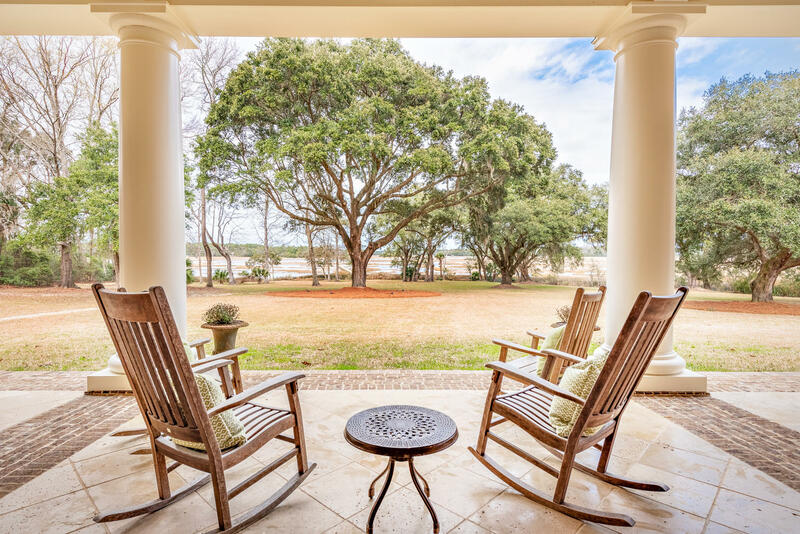 4440 Wando Farms is a 5885 square foot home, with 5 Bedrooms, 4 full and 2 half Baths, and sits on over 10 acres on the Wando River with a private dock. It was built by Justin Whitney & designed by Jan Grierson. Wando Farms is a 550 acre permanent conservation easement just minutes from downtown Charleston. A working farm, formally known to locals as “The Kiwi Plantation”. A section of the historic 18th century Kings Highway runs through the estate. The peaceful retreat boasts two stocked fishing ponds, an equestrian center with a barn and pastures, a shooting range, an organic farm, and stately grand oaks. Click here to view the complete listing and photos for 4440 Wando Farms Rd.